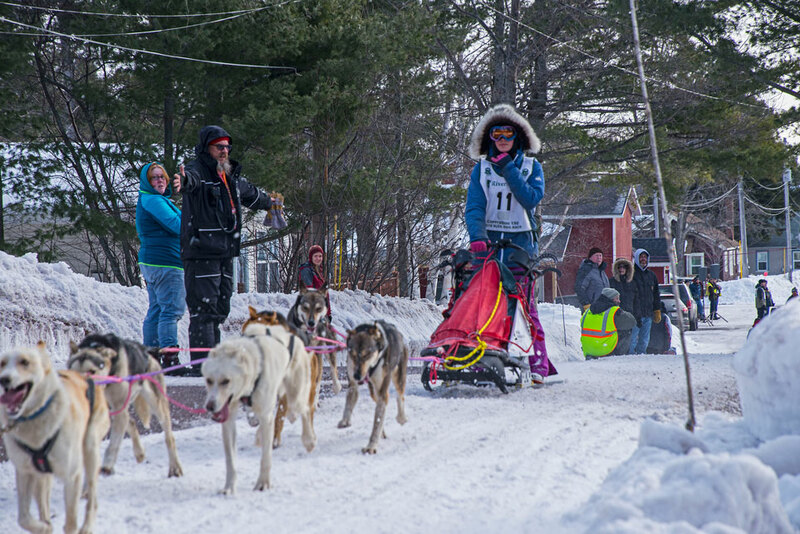 This past weekend my wife and I drove up to Calumet, Michigan to watch the CopperDog 150 Sled Dog Race and to do a little cross country skiing. 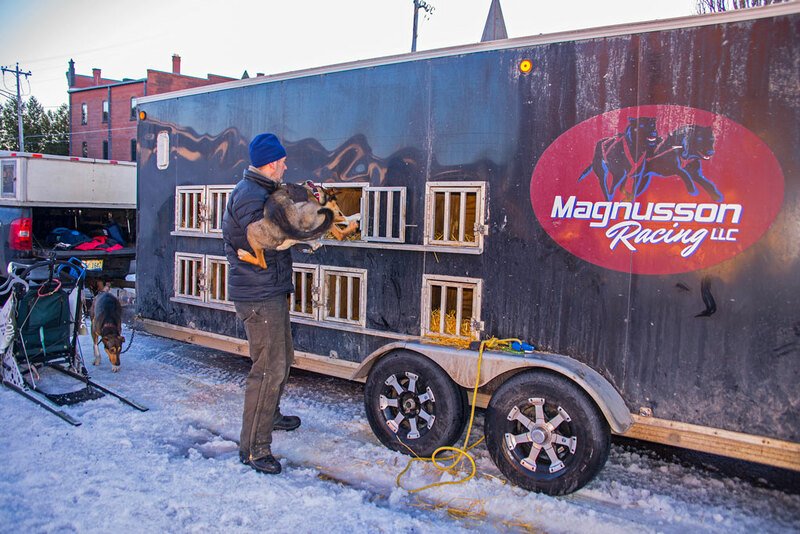 We just made it in time to walk around before the race and take in the sites. 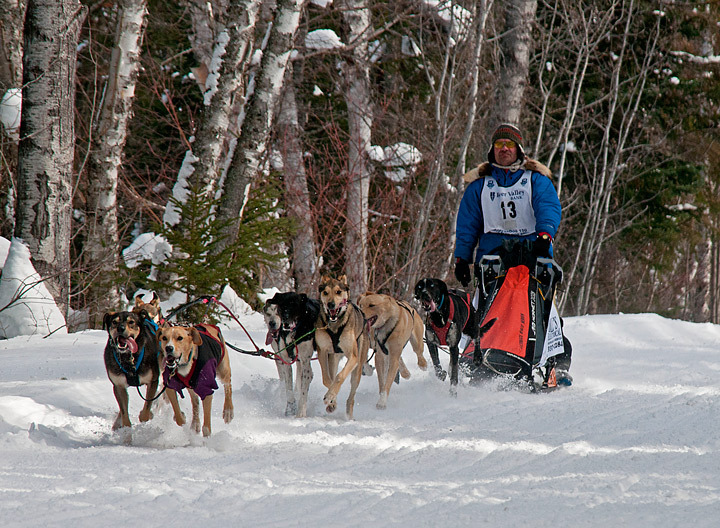 More photos from the race can be found on my website. 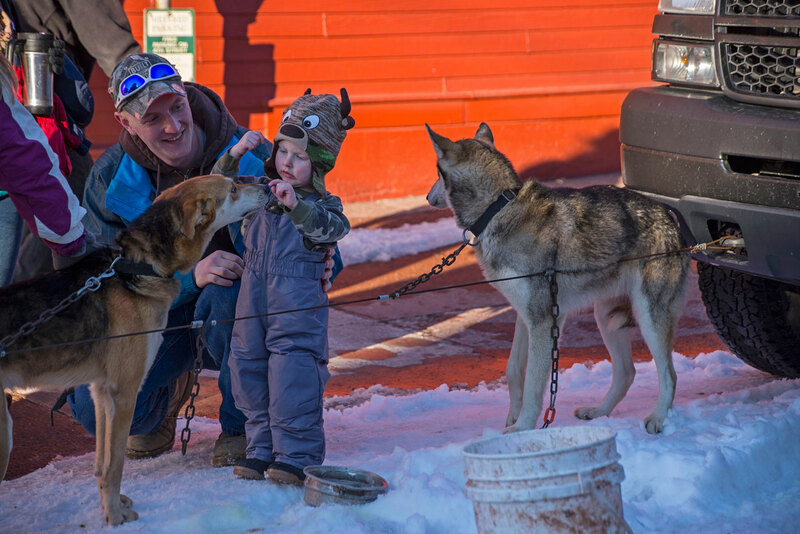 The mushers are usually happy to let the kids pet the dogs. 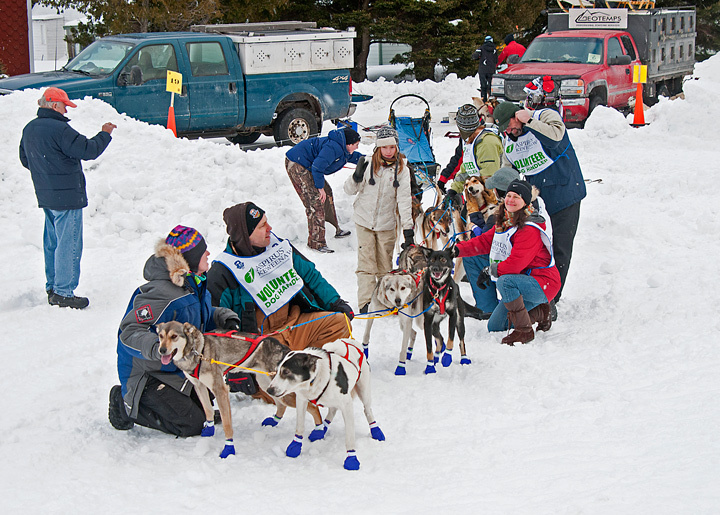 Generally the mushers feed the dogs a couple of hours before the race and then put them back into their homes until they are ready to race. 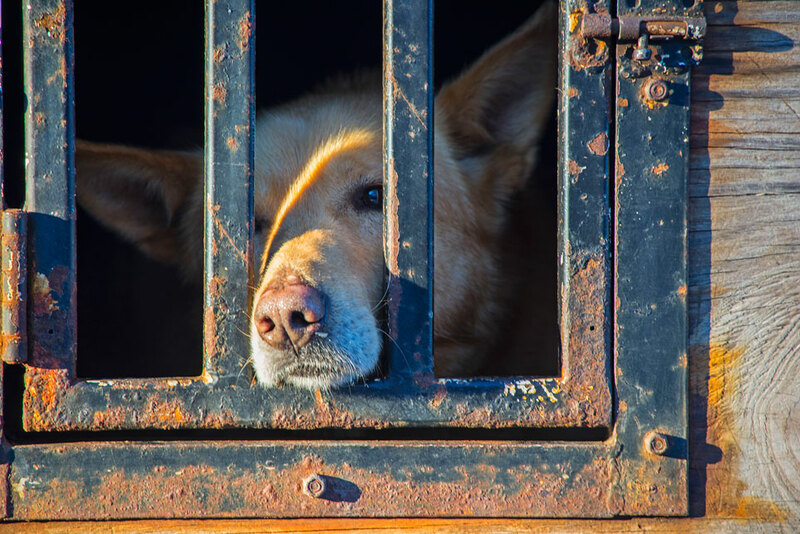 They usually look a little pathetic as the look out the doors. 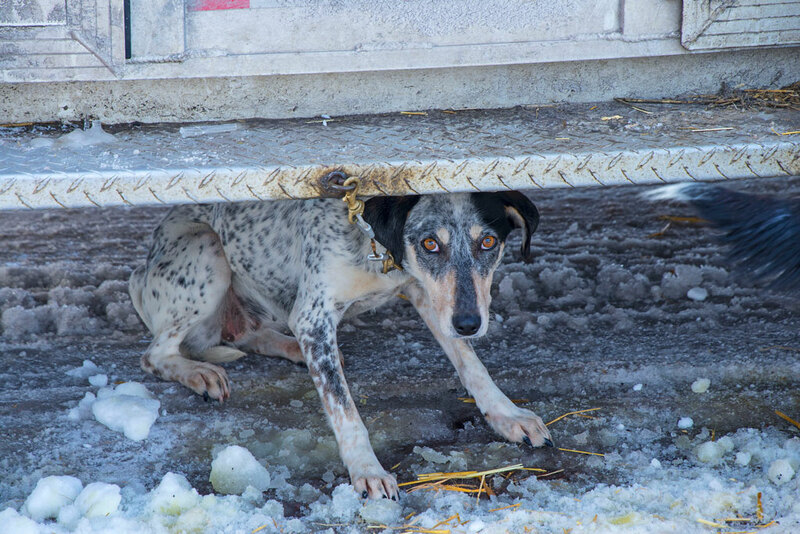 Some of the dogs are a little more reluctant than others to be put back into their homes. 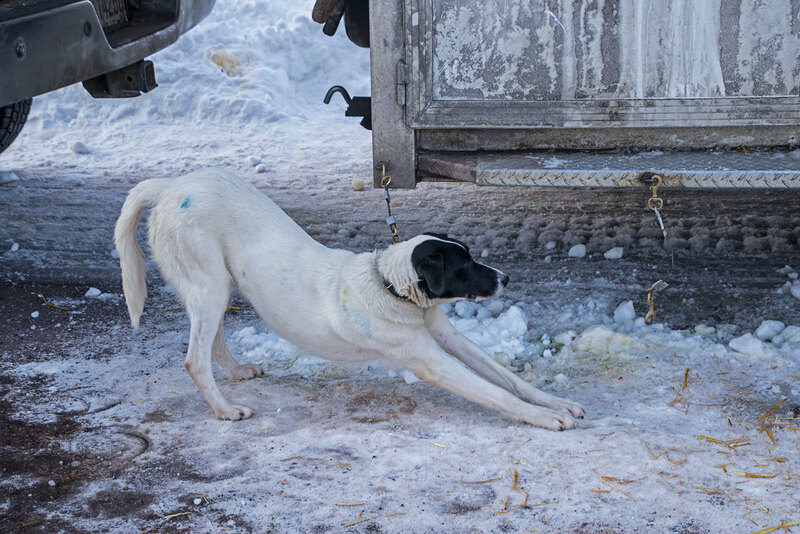 This one put up quite a struggle before he finally was put into his home. 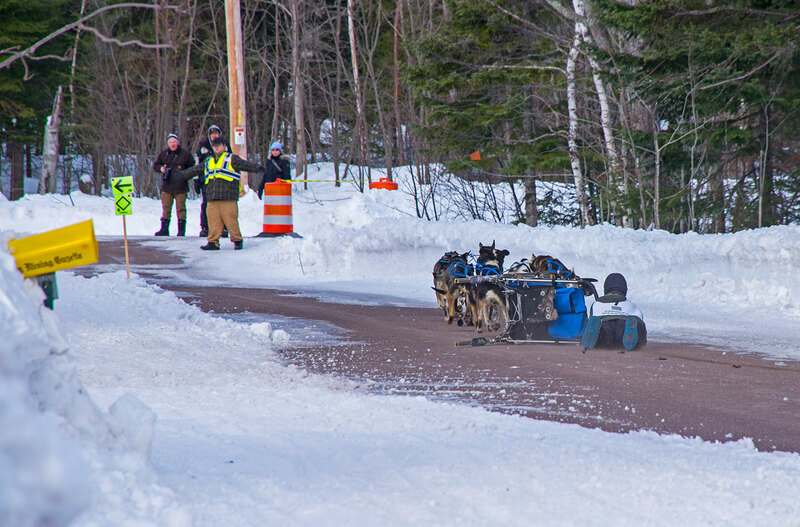 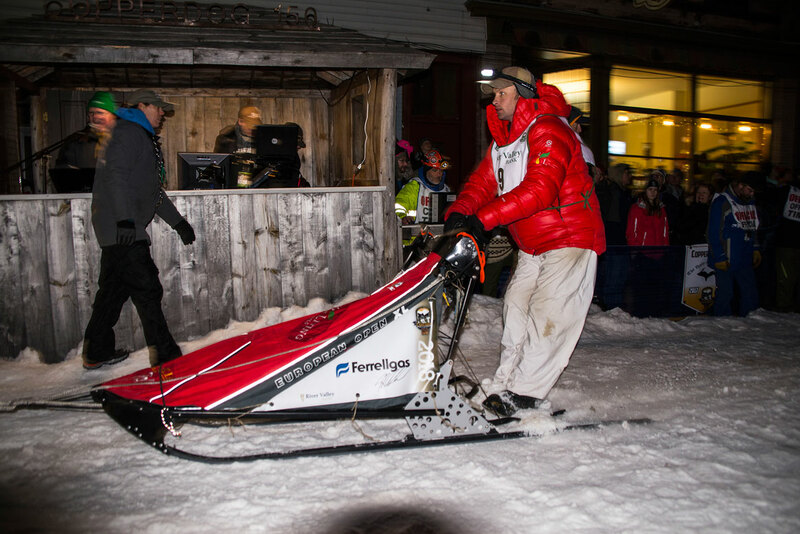 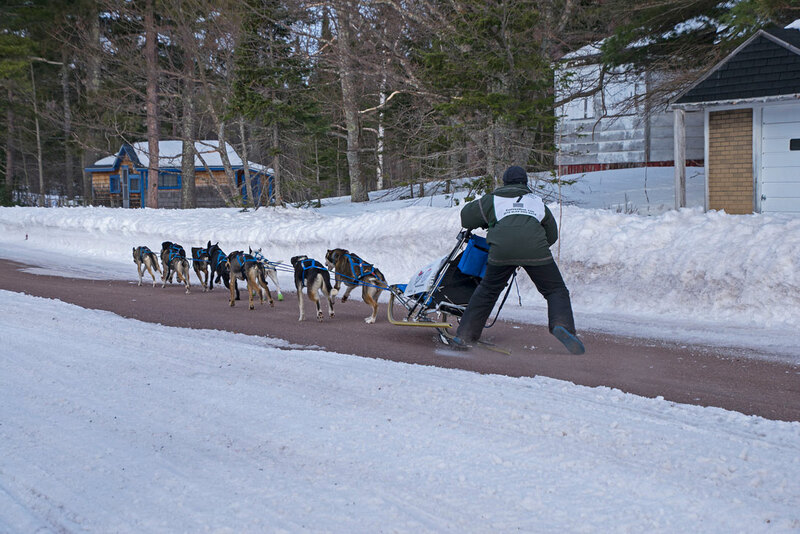 The runners on the sleds are a fiberglass material and the mushers have to wax them before the race. 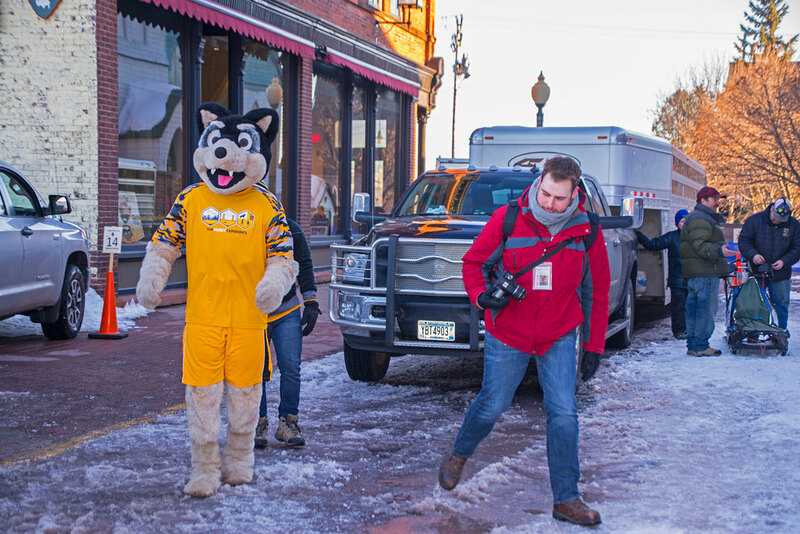 Generally the Michigan Tech and Finlandia University mascots are at the race. 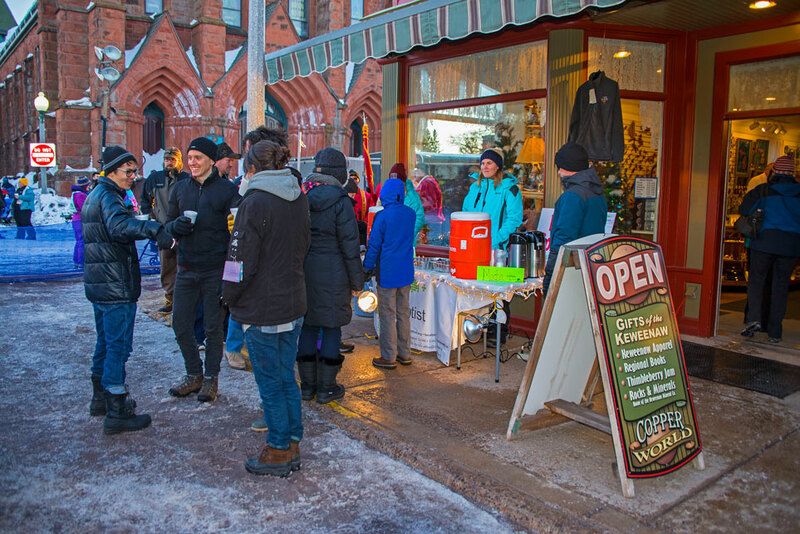 A popular spot before the race is the Hot Chocolate and cookie stand. 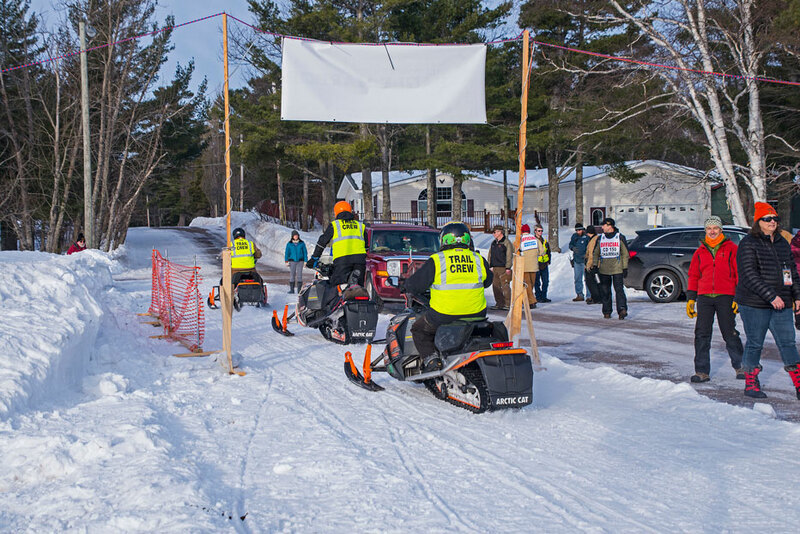 The sheriffs department heads out onto the course before the race to insure there are no problems along the course which crosses the main road in several locations. 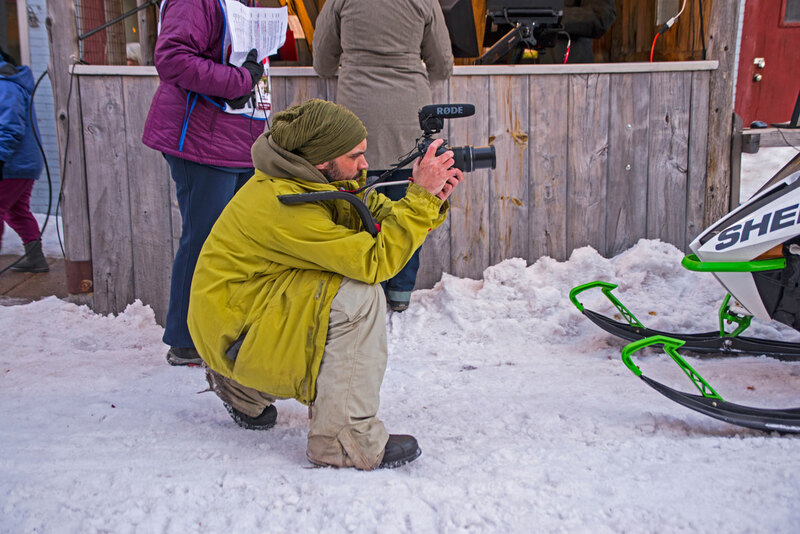 There are a lot of official photographers to capture the race. 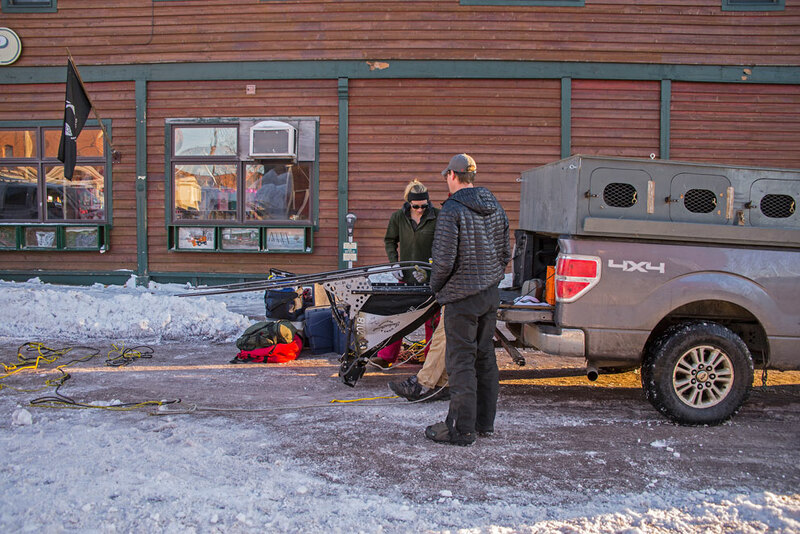 Video seems to be growing in popularity. 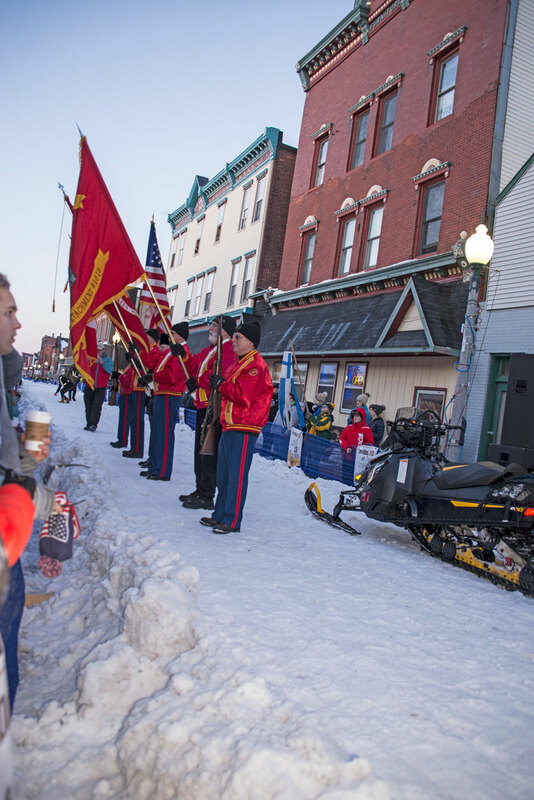 The color guard brings out the flags before the race. 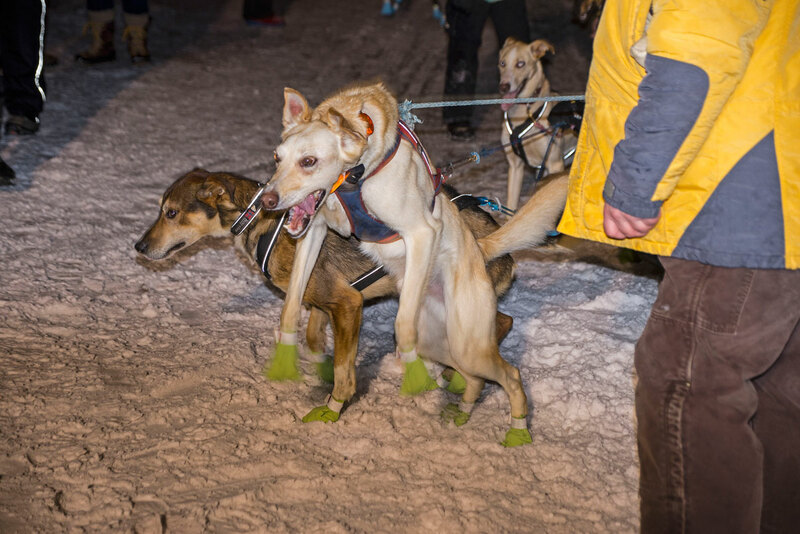 This year there were racers from South Africa, Canada and the United States. 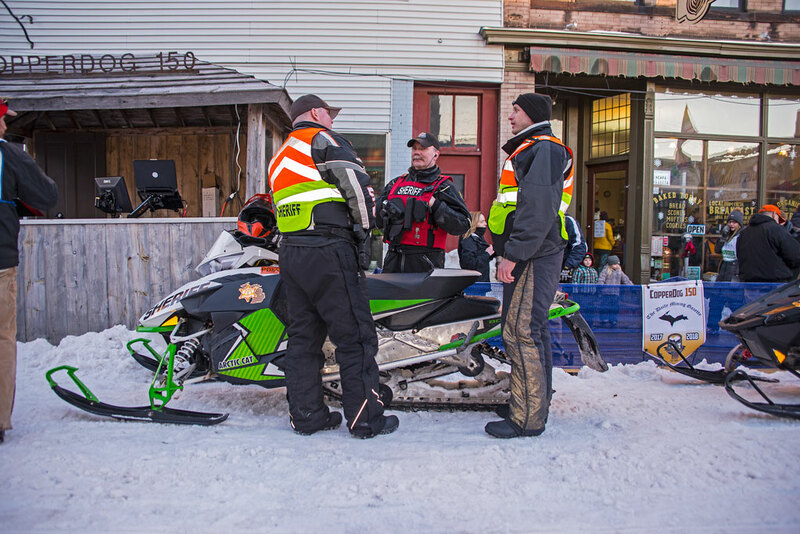 Just before the race starts the trail crew heads out to insure that everything is ready for the race. 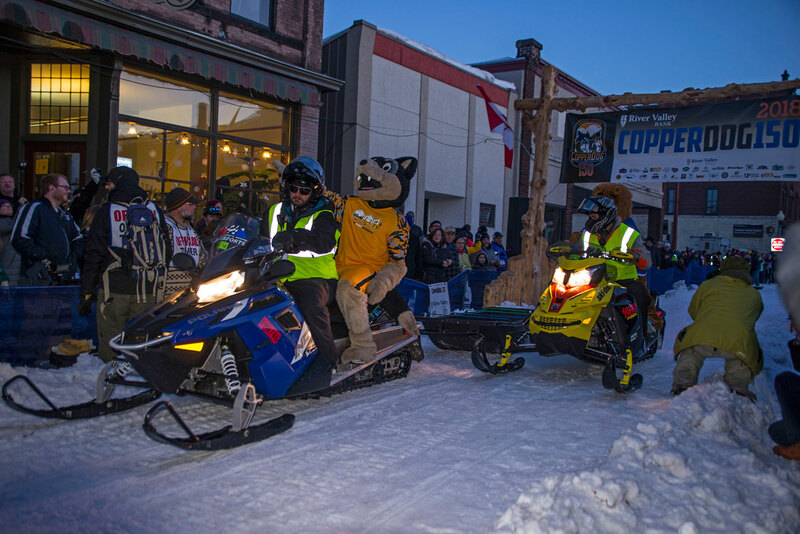 The Michigan Tech and Finlandia mascots were riding on the sleds. 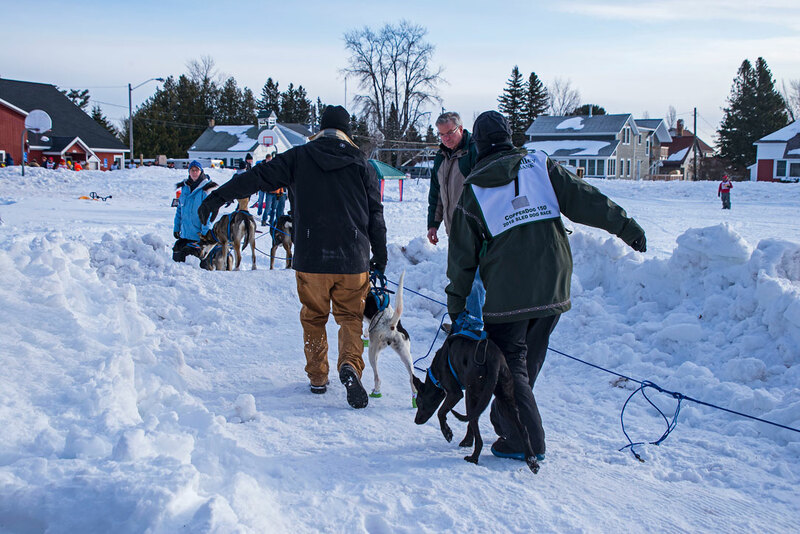 We watched from the start line as the 10 team sled dogs headed out onto the course. 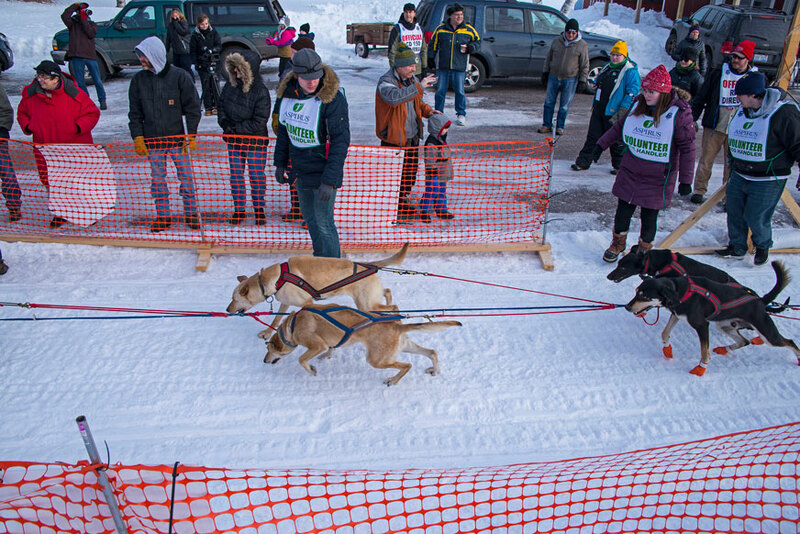 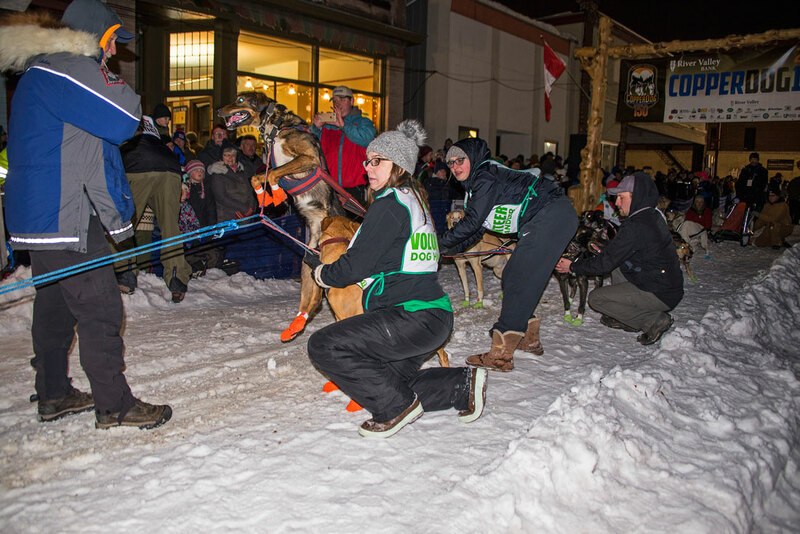 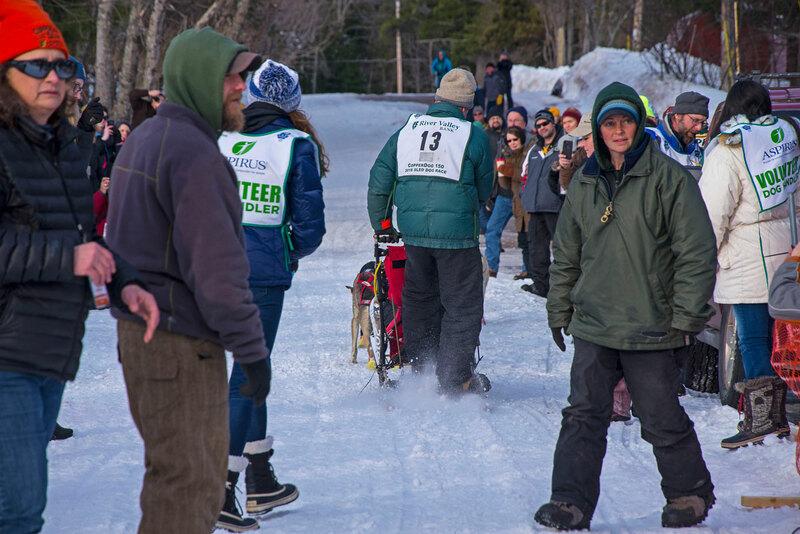 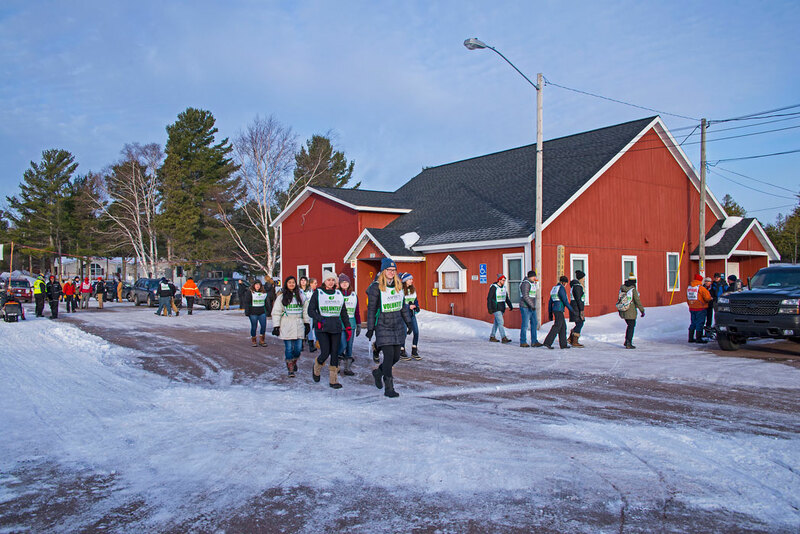 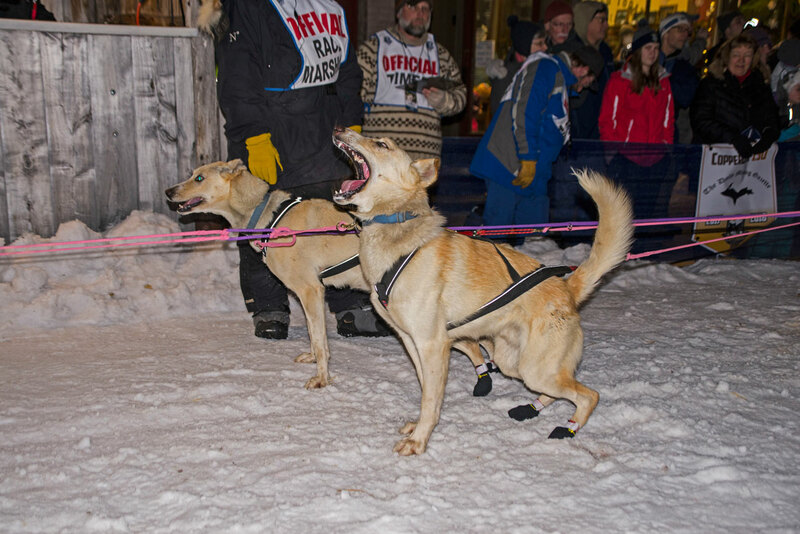 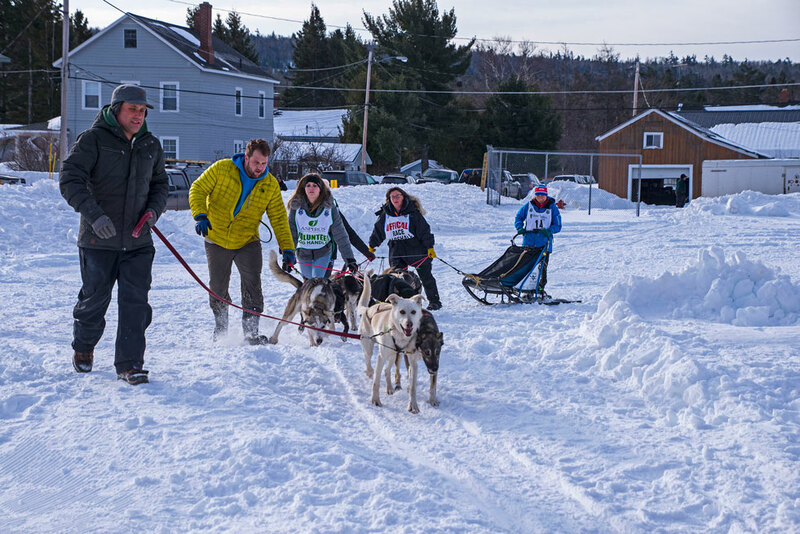 Just a reminder that the CopperDog sled dog race will be taking place the first weekend in March. 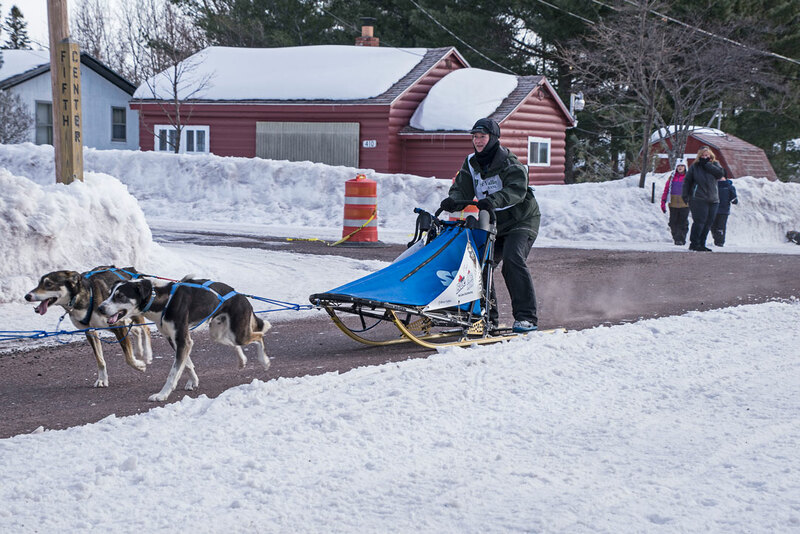 If you like sled dog racing it is worth visiting Calumet, Michigan. 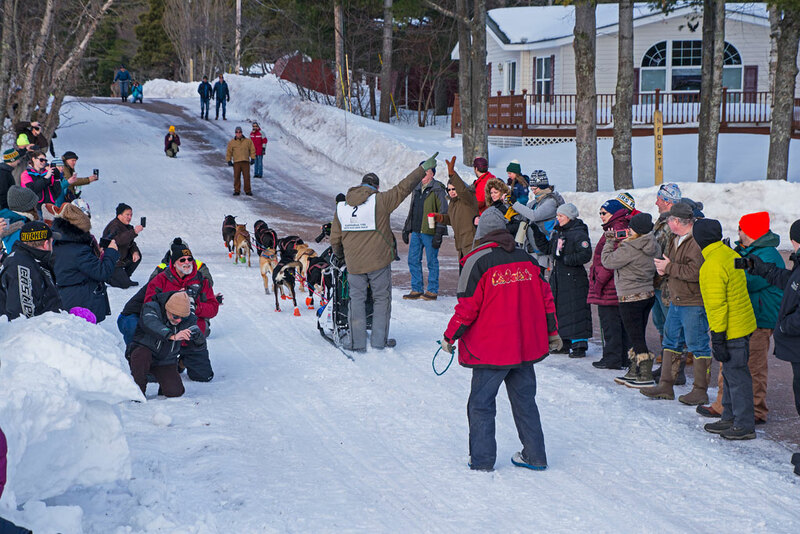 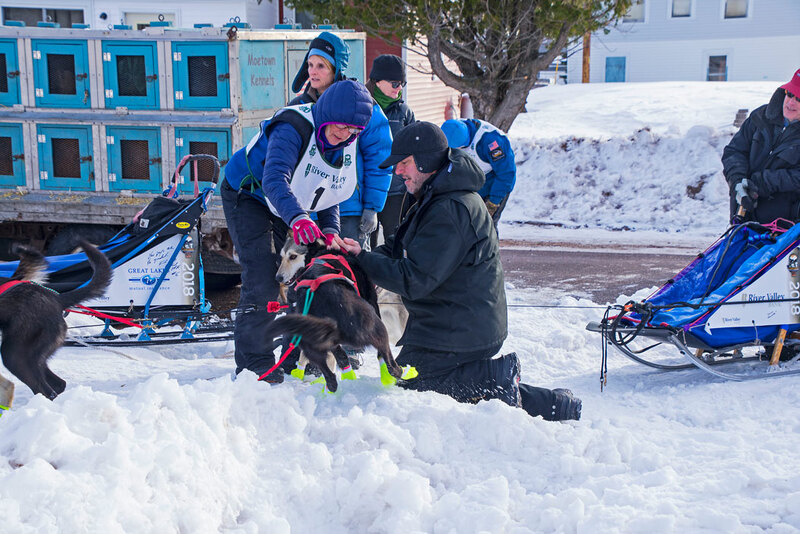 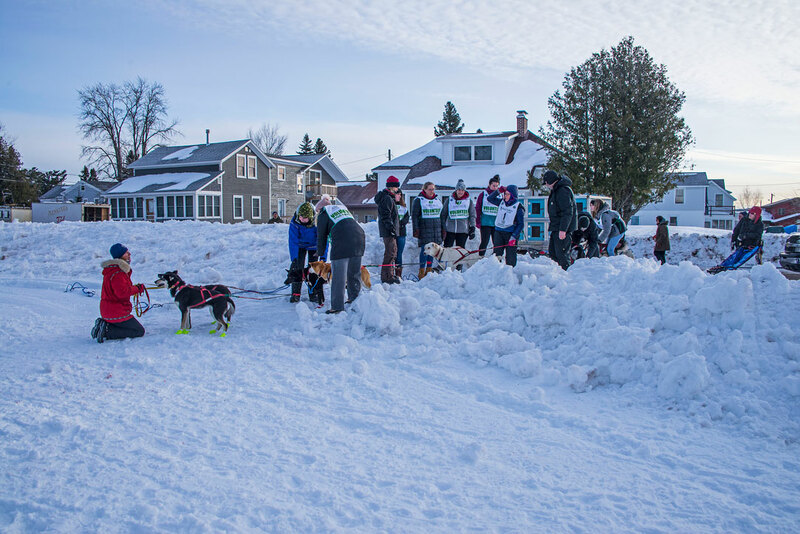 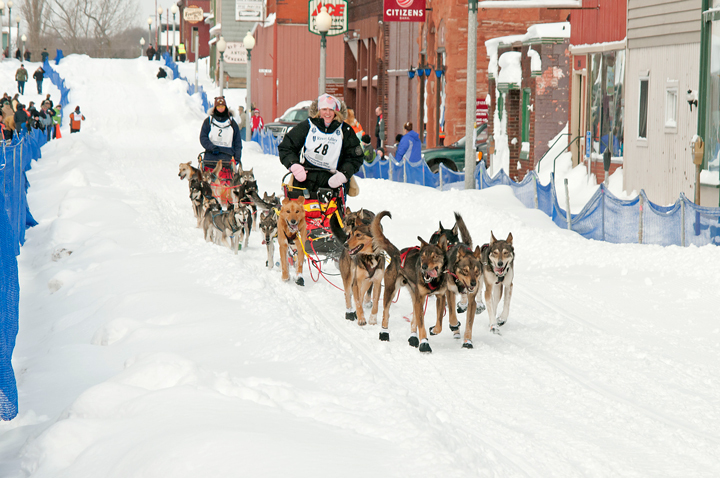 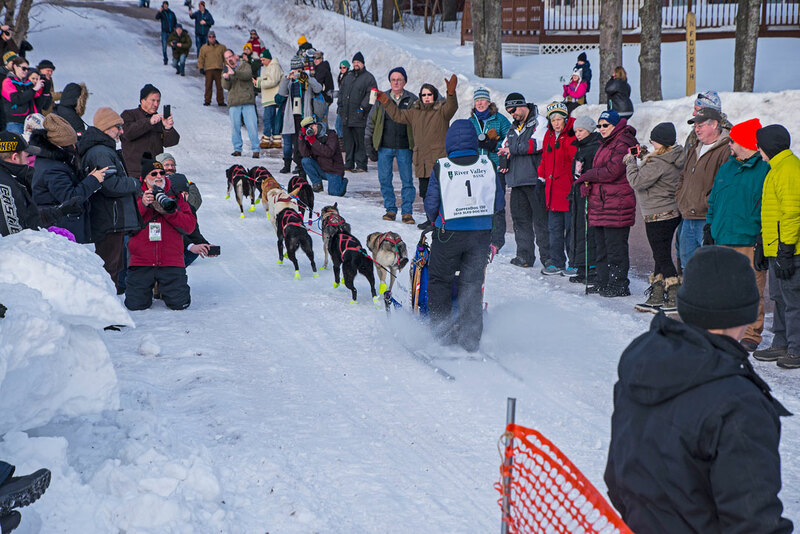 This weekend is the CopperDog 150 Sled Dog Race in Calumet, Michigan. 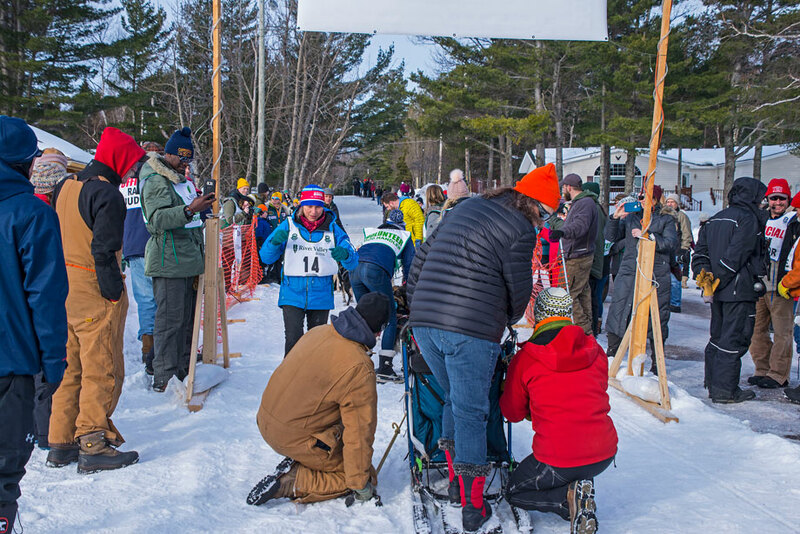 It is a great race to watch in an area that also offers some outstanding cross country skiing. 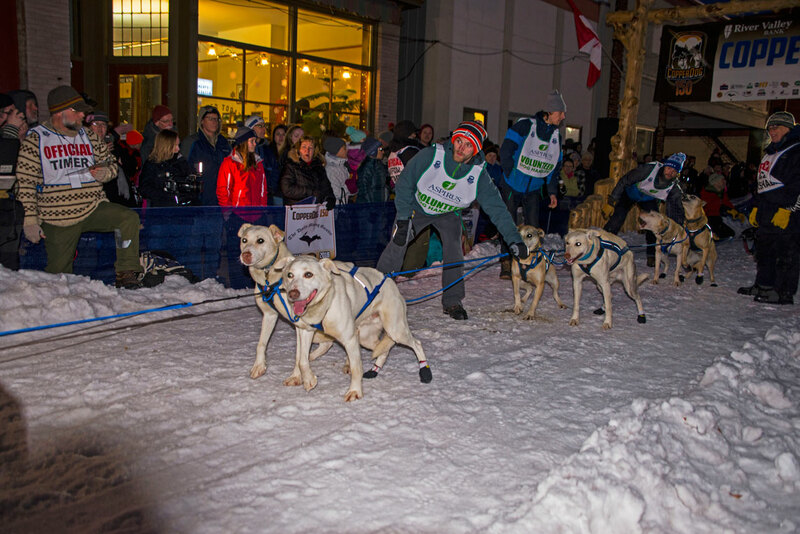 More photos of the CopperDog 150 can be found on my website.